The decision was taken by the Kremlin-controlled "Supreme Court of the Crimea"
Today, on July 13, the so-called "Supreme Court of the Crimea" sentenced the person involved in the case of "Ukrainian saboteurs" Yevhen Panov to 8 years in a strict regime colony. In April 2018 the court proceeded to consider the case on the merits. The defendant refused to deal with the Russian investigation, his arrest was extended for six months, until September 26. Prosecutor Esvet Furmambetov requested a punishment for Panov in the form of 10 years and 6 months of imprisonment in a strict regime colony. According to him, the Ukrainian's guilt is allegedly fully proved. At the "trial" on July 9, Panov spoke with the final word and said that he had nothing to justify himself and he had not violated anything. 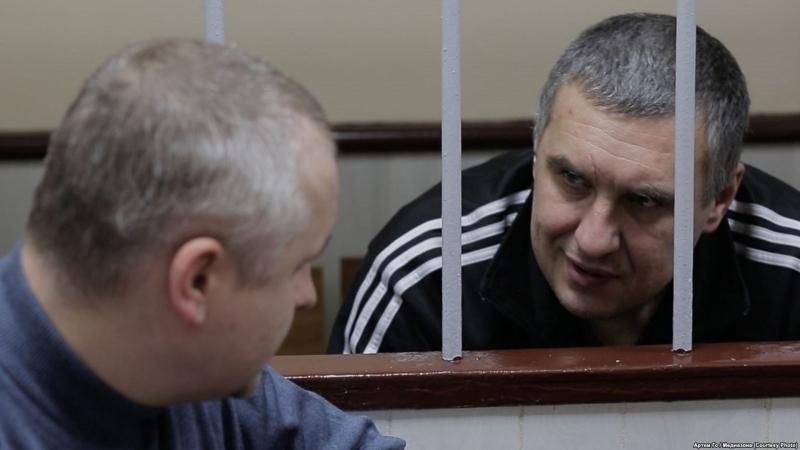 The brother of the political prisoner and the Chairman of the Association of Relatives of Political Prisoners of the Kremlin Igor Kotelyanets said that due to the fact that Yevhen Panov refused to cooperate with the "investigation" in the occupied Crimea, he could be sentenced to a maximum term, namely to 20 years of imprisonment. Earlier, the occupiers accused Yevhen Panov of allegedly plotting sabotage at civilian and military facilities in the Crimea.